Please note: Tech Support is not trained on how to configure your firewall or authorized to make changes to your firewall. Firewalls prevent unauthorized programs from accessing the internet and must be configured to allow StockFinder to connect to our servers. Disabling a firewall may correct some issues, but they can still interfere with programs if you have not specified that they should always be allowed to access the internet. Please note that Tech Support is not trained on how to configure your firewall, and we are only authorized to make changes to programs created by Worden Brothers, Inc. If your firewall allows you to set Program Exceptions, please add the following files to the Exceptions list: StockFinder.exe, StockFinderApp.exe, and BlocksDataDownloaderV5.exe. 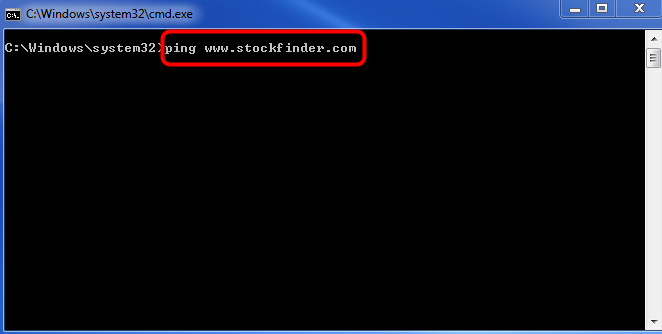 The default install location of StockFinder.exe is C:\Program Files\StockFinder. On Windows XP, StockFinderApp.exe and BlocksDataDownloaderV5.exe are located at C:\Documents and Settings\[profile]\Local Settings\Application Data\Worden Brothers, Inc\stockFinder\AppBinv5. 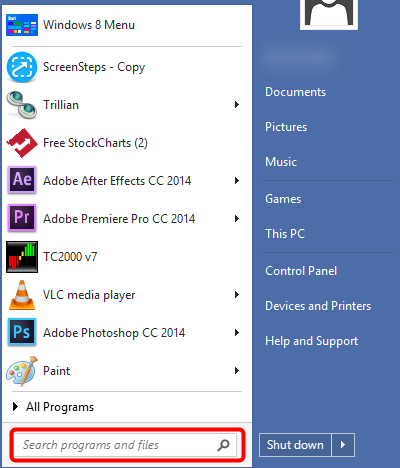 If the Local Settings folder is not visible, on the window menu bar click "Tools" and select "Folder and Search Options". From the View tab choose 'Show hidden files and folders', then click "Apply" and "OK". If your firewall does not allow you to set Program Exceptions, you will need to configure access to port numbers and/or server addresses. For StockFinder, please make sure that ports 80 and 443 are open. The server addresses are www.worden.com, files.worden.com, www.stockfinder.com, signin.worden.com, network.blocks.com, videos.worden.com, data1.stockfinder.com, data2.stockfinder.com, data3.stockfinder.com, sync.blocks.com, and widgets.freestockcharts.com. Note: Whenever possible, it is preferable to configure a firewall by server address instead of IP address. If your firewall or network filters only allows IP exceptions, use the instructions in the ‘How to Determine IPs’ section below. Note: From time to time, IP addresses will change without notice. You will need to reconfigure the firewall anytime a server address moves to a new IP. 1. Click he Windows Start button. 2. Select the search field. 3. 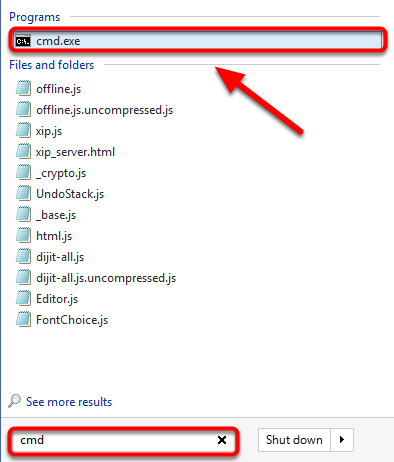 Type in cmd and select cmd.exe prompt from the results. 4. In the command prompt type ping then the address of the website you would like to find the IP address for. 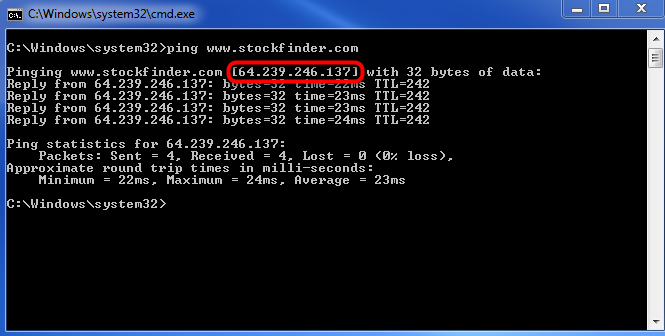 In this example we are pinging www.StockFinder.com. 5. Press enter to submit the command and complete the ping. The number listed beside the website address is its IP address. 6. Repeat steps 4 and 5 to find the IP address for all of the desired sites.